Aluminium with plastic wheel. Distance range 0-999.9m. 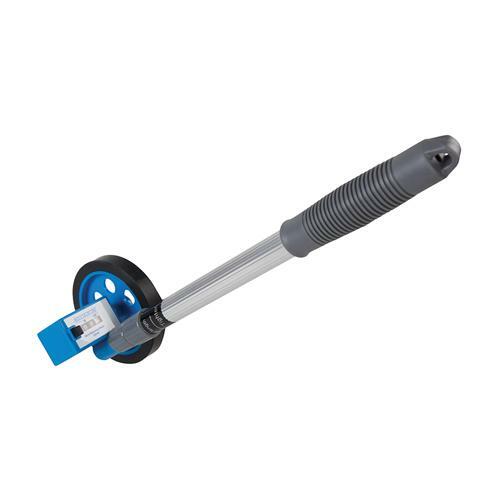 Telescopic shaft extends between 350 and 810mm. Durable knurled rubber handle for extra grip. Clear and easy to read metric dial with an accuracy of +/- 2%. SKU: 9000005728 Category: Measuring Wheels Brands: Silverline.